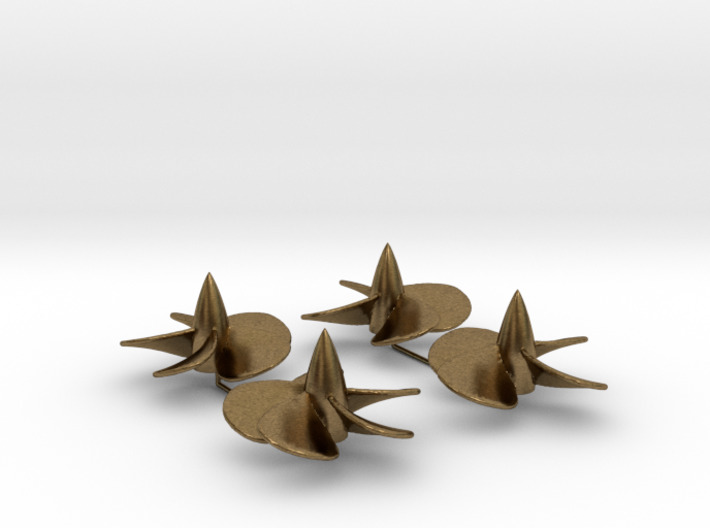 Iowa-class battleship screw set in 1/200th scale. 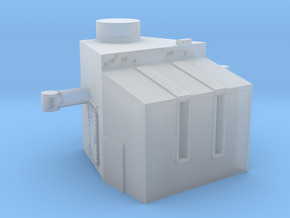 Suitable for Trumpeter USS Iowa BB-61 and USS Missouri BB-63 kits. 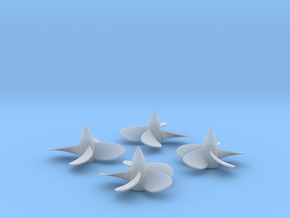 The shaft holes are 7.50 mm (0.295") deep, and 2.45 mm (0.097") in diameter, with 0.02 mm clearance for proper fit with the kit-supplied metal shafts of Trumpeter. 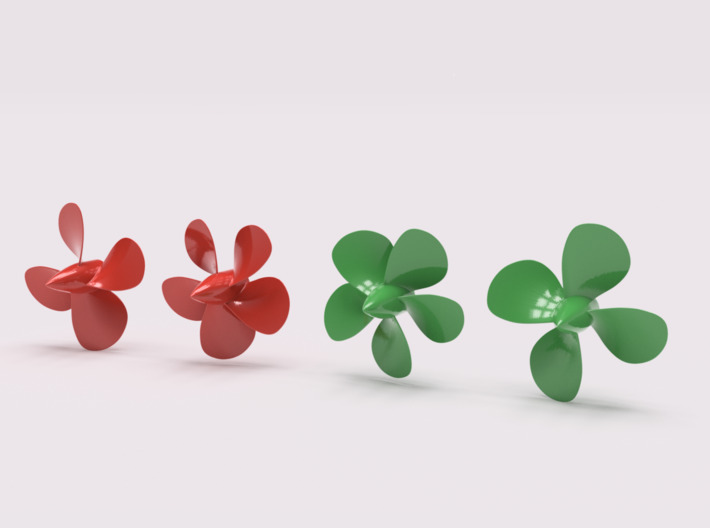 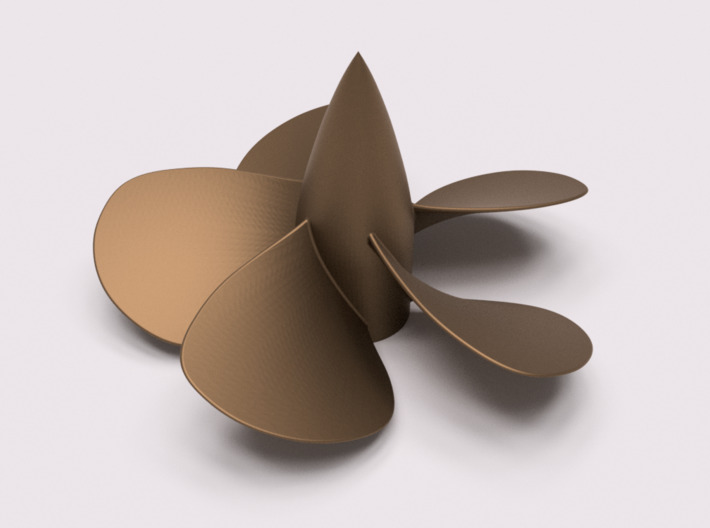 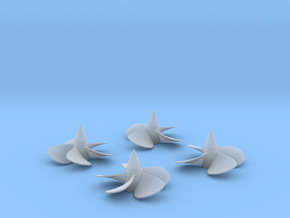 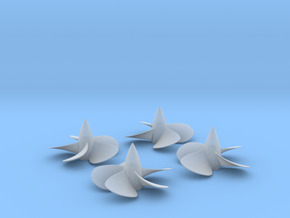 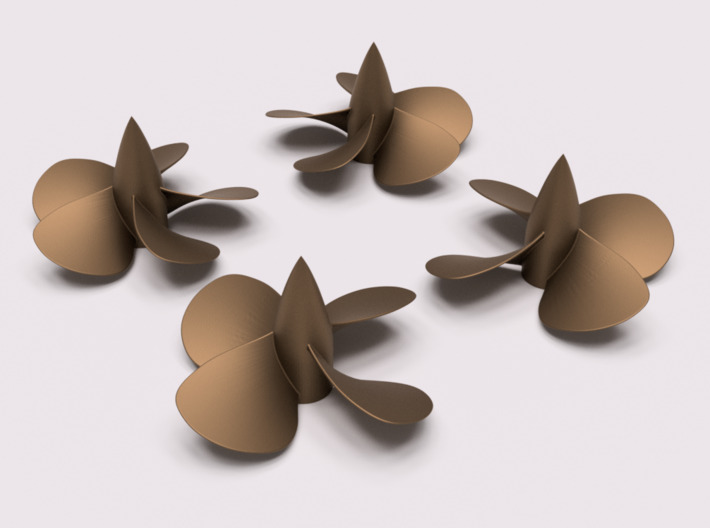 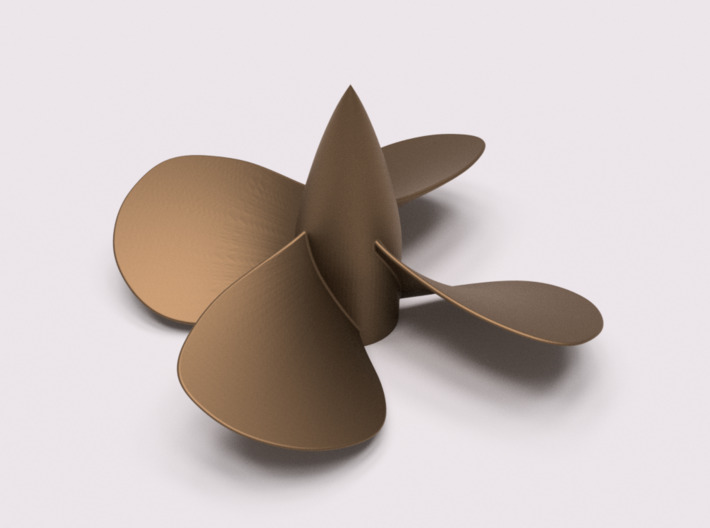 This version is created for printing in metal materials, thus the blades are significantly thickened from the original version to meet Shapeways' minimum wall thickness requirement of 0.8 mm.